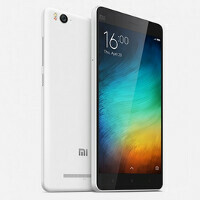 Two versions of the Xiaomi Mi 4c are coming? The Xiaomi Mi 4c will be unveiled on September 24th, and will be launched on October 3rd. A report published today says that there will be two variants of the device, one with 16GB of storage and 2GB of RAM, and another with 32GB of memory and 3GB of RAM. Xiaomi is expected to produce just 100,000 units of the device, although it isn't clear if that means 100,000 of each variation. That answer will probably be disclosed when the phone is unveiled on the 24th of this month. We've seen the model with 16GB of memory and 2GB of RAM recently appear on Oppomart. That, of course, is Oppo's online store. The phone was listed with a price of $229. The variant with 32GB of memory and 3GB of RAM will probably be priced $50-$75 higher. That information will also be released when the phone is unwrapped on September 24th. Xiaomi's current flagship model, the Xiaomi Mi 4, is more than a year old having launched in July of 2014. There is some speculation that Xiaomi is waiting for the Snapdragon 820 SoC to be ready for the Xiaomi Mi 5, although recently a teaser surfaced for the phone along with a rumor that the Snapdragon 810 would be driving the device. I hope it means 100,000 units in the first bath of flash sale with a lot more units in the future. With Mi's aggressive pricing, It will be sold out in less than a minute. Most likely 100,000 units in the first batch. Xiaomi does not want to sell only 100,000 units lol. i've heard they r using helium X20 and the benchmark is 72000+. Wish these worked in the US.